The final whistle spoke volumes. New Zealand’s explosive second half performance was too much for Australia and the home players looked dejected and shell shocked after a promising opening forty minutes where they led 6-5. The second half was a no contest. Australia unable to cope with New Zealand’s slick offloading and out wide attacking threat, Composure rattled then saw defensive and game management issues for the Australians soon follow and the last thirty minutes was a tough watch for Michael Chieka and management team. 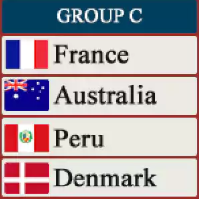 Australia had started the contest with vigor and work rate. Naholo perhaps unfortunate to avoid a yellow card when lifting Folau above the horizontal line on five minutes. Decision for the officiating crew and they baulked it; a penalty only. Match day officiating decision making inconsistency back again in the headlines. The more galling aspect for Australia was the series of phases immediately after the Naholo penalty. The line out again malfunctioning horribly twice with points on offer; New Zealand left off the hook who was struggling to gain a foothold in the breakdown battle. Australia after their early missed opportunities did put points on the scoreboard. Hodge and Foley slotting over penalties as Read and Squire were pinged for hands in the ruck. Hodge’s kick in particularly noteworthy as the center slotted over from over forty meters. 6-0. Australian platform being built? Six point advantage heading into the break would have being the least that Australia deserved; New Zealand struggling for tempo and establishing their attacking play given slow ruck ball. However, New Zealand are such a clinical side who will punish any opposition inaccuracy and so it proved with a smart opening try right on half-time. Aaron Smith scored after a superb line break from Ben Smith who broke the tackle of Lukhan Tui down the right and found Naholo, who somehow kept on the pitch to offload back inside to where Read found Smith. A crucial score before the interval and the momentum shift had started. Australia were back on their heels immediately upon the restart. Goodhue crossing over for his debut New Zealand try after a sweeping move from New Zealand; quick hands but also less than convincing defensive structure from the hosts. Goodhue ran unopposed from thirty meters out. Will Genia intercepted within his 22 finding Bernard Foley, the Australia out-half kicked ahead for Koroibete, who did brilliantly to offload back into midfield, only for Tolu Latu offloading forward from there with men free out wide. The missed opportunity was punished to the maximum by New Zealand and it was all to with the boy Beauden Barrett pouncing on a knock on from Haylett-Petty to showcase his ball control, kicking on with composure to touch down for the New Zealand third try. Composure levels were contrasting between the two sides. More Australian attacking execution woe compounded by further Australian line out misfires; Retallick who was superb collecting the ball and selling the dummy before crashing over. Game over. Australia did respond briefly as Maddocks scored a try on debut after a sweeping move involving Foley and Beale, but the respectability was shattered for the hosts with two Naholo try efforts showcasing the player’s skill set. 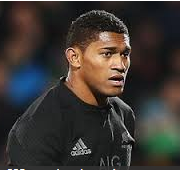 Naholo’s first try was all about the vision and execution of Beauden Barrett; the out-half identifying the space deep in Australia territory for Naholo with an inch perfect kick for the winger to score a regulation score. Naholo’s second try illustrated his prowess with ball in hand; identified space in between Australian defenders, asked the question of his opponents to make the tackle and they failed. Naholo scoring with the minimum of fuss. A contest where New Zealand will look to improve their performance consistency but Steve Hansen has to be happy with the manner of the second half performance. Goodhue looked solid in the three quarters. 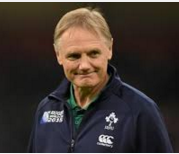 Australia on the other hand are under the cosh, their error strewn game management, set piece and missed tackle count will need to be improved but whether it can be fixed before the second Bledisoe test match is questionable. Everyone will have taken note; New Zealand are playing well and will only improve from here on out before RWC 2019.